Open and read Lotus DXL files without platform or application dependency. DXL to PDF Converter helps consolidate DXL file in multiples into a single Outlook Data File storage. The software is featured with a freeware trial version too. 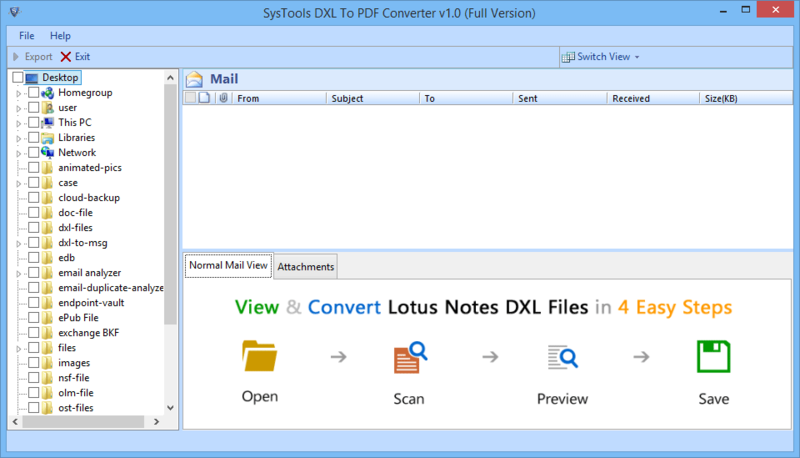 It is possible to convert multiple Lotus Notes DXL messages to PDF file. 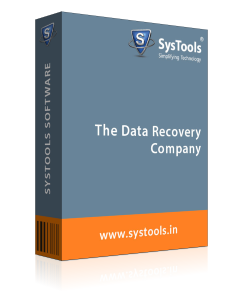 The Software automatically detects system directories and allows you to select folder(s) storing DXL files to be converted into a PDF file each. Also, save the PDF at source (DXL) location. 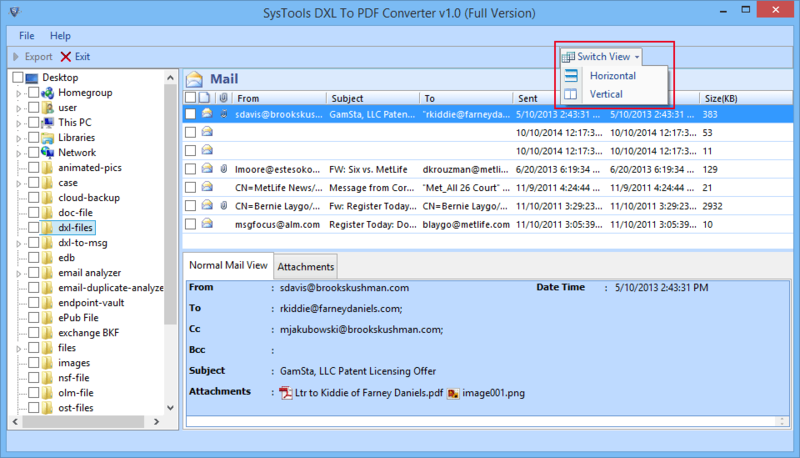 Convert DXL files into PDF file format with no application dependency. The software is supported to work on all available versions of Windows OS. It requires neither IBM Notes nor Domino Server configuration to function properly. 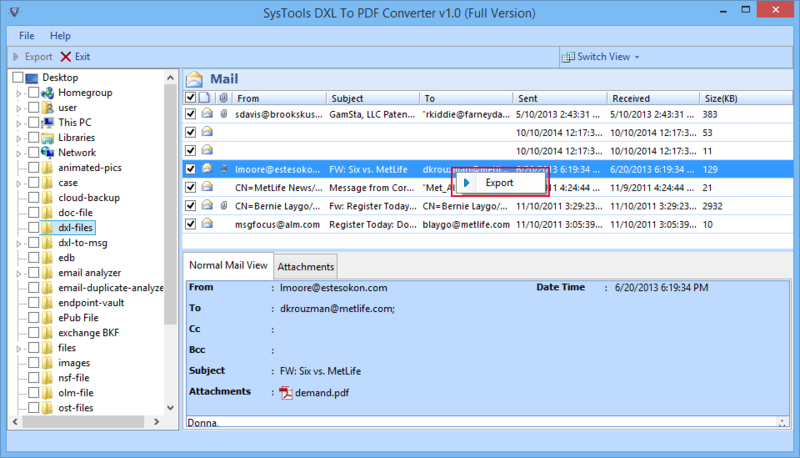 When you export DXL file to PDF format, it is possible to view the contents of the source file before conversion. The software gives a preview of the DXL file - email body contents, associated attributes, and attachments. Successfully convert Lotus Notes DXL to PDF file selectively with the help of provided checkboxes. 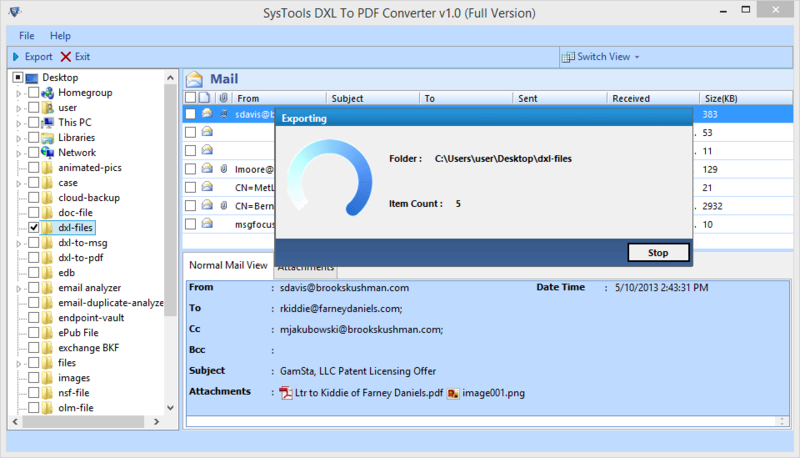 Besides an equally successful bulk DXL file conversion, the software also features a conversion of selective DXL files for added user convenience. During the conversion process, you can also choose a preferred naming pattern for the PDF files generated after conversion. The Naming convention is an option that features multiple sets of naming pattern for you to choose from and save DXL to PDF output. Easily migrate DXL to PDF with hierarchy maintenance in the preferred style. You can either choose to maintain the original hierarchy of DXL file or choose Flat Hierarchy to save all the emails in a single folder common for all converted messages. Q. 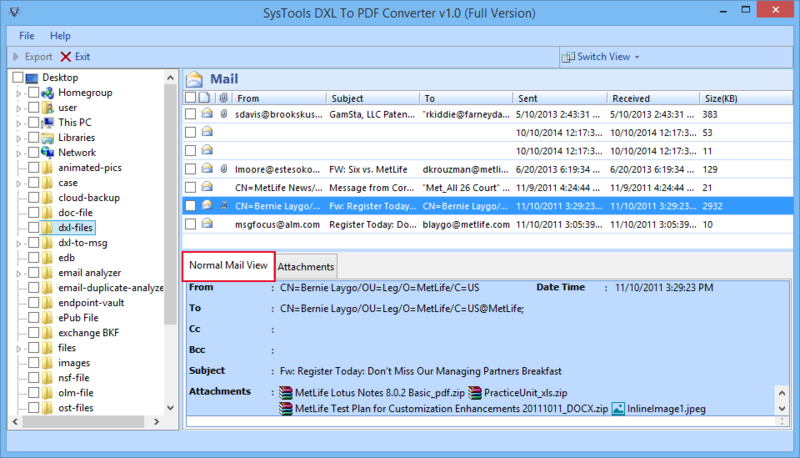 How can I change Lotus Notes DXL to PDF without the client-server? Ans: If PDF is your choice for conversion of Lotus DXL files, then there is no tool better than the Lotus Notes DXL to PDF Exporter. The conversion is possible in a convenient manner, which enables selective file conversion at the source path or a preferred location of user choice. Q. Can I transfer DXL calendar into PDF and distinguish them easily too? Ans: You can easily transfer DXL calendar entries too using the tool to migrate DXL files to Adobe PDF. Additionally, as a supporting feature the software offers Naming Convention. This option enables users to save the converted data in PDF with a preferred naming pattern by choosing one of the given set of patterns. 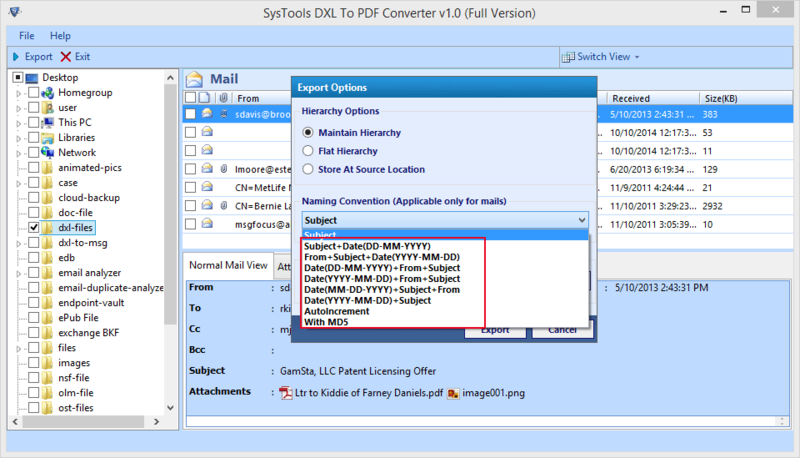 This way, the DXL to PDF convert tool offers you the option to generate easily distinguishable output. How to Convert DXL to PDF? Step 1: Firstly, Open a DXL to PDF Converter. Step 2: Now Select the DXL file, the windows browser hierarchical structure is a convenient way to explore multiple folders. Step 3: Preview the contents in a Normal View. 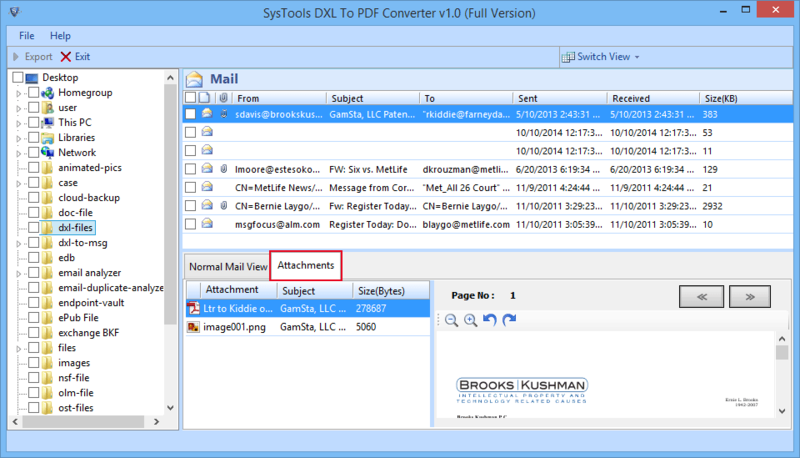 Step 4: Preview the attachments such as (xls, doc, pdf, docx). Step 5: DXL to PDF Exporter provide switch view option like Horizontal view and Vertical view. Step 6: You can easily migrate any particular mail, firstly you select any mail and go to Export option and click it. Step 7: You can also export multiple select dxl files and all of them to extract them all at once, you can also select randomly. Step 8: When you select the export option , they give three option :- Maintain Hierarchy, Flat Hierarchy and last option is the source at source location. Step 9: You can save your files by using different naming conventions where the MD format is used to check the accuracy of a file. 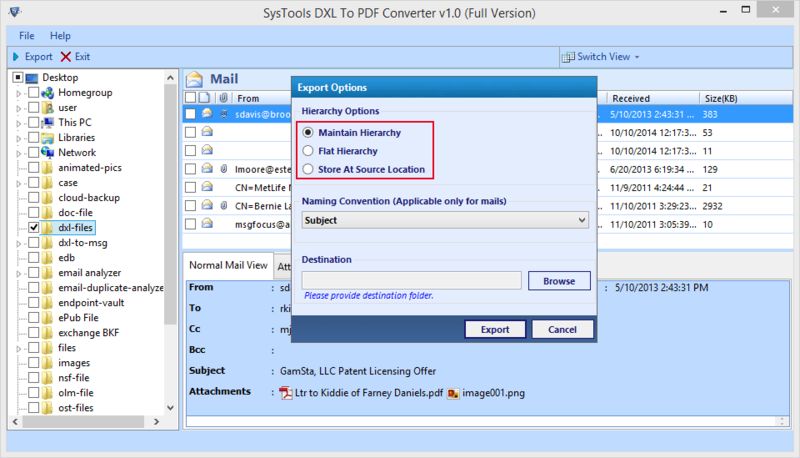 Step 10: Create the destination folder, where you export the DXL to PDF file. Step 11: Export process will show you folder destination and item count. Step 12: Exporting process finish. Click Ok to Exit. Step 13: See the converted PDF(Portable Document file), then go to the selected destination folder and you will have the .pdf file(s) in that folder. 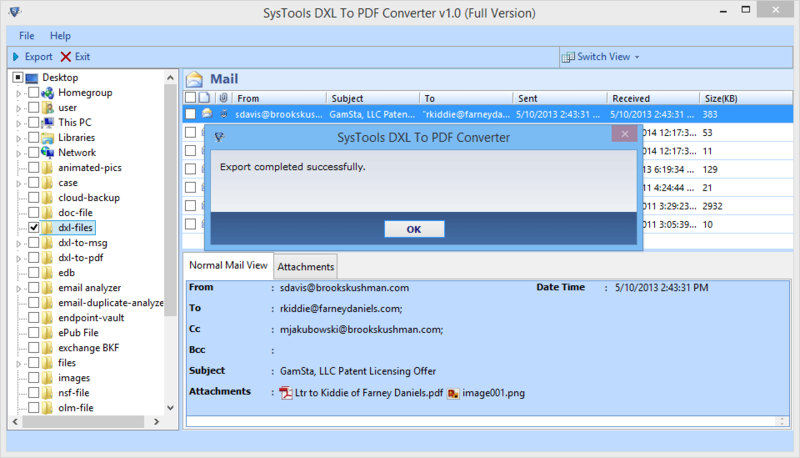 DXL to PDF Exporter is a great solution and I am highly satisfied with the output generated. I can now easily carry around and use the Notes XML files without any platform dependency issues. PDFs are good; a converter for DXL to PDF is great. What I thought was multiple DXL to PDF conversion would be undoable for the different structures both files have. However, I do not feel the same way any longer thanks to the product.